I’ve been blogging for almost 4 years now. I am passionate about it. I’m making an income from it. It is a huge part of my life, but my husband doesn’t read my blog. The other day as I was writing a blog post (about my husband, shhhh), I had the random thought pop into my head. 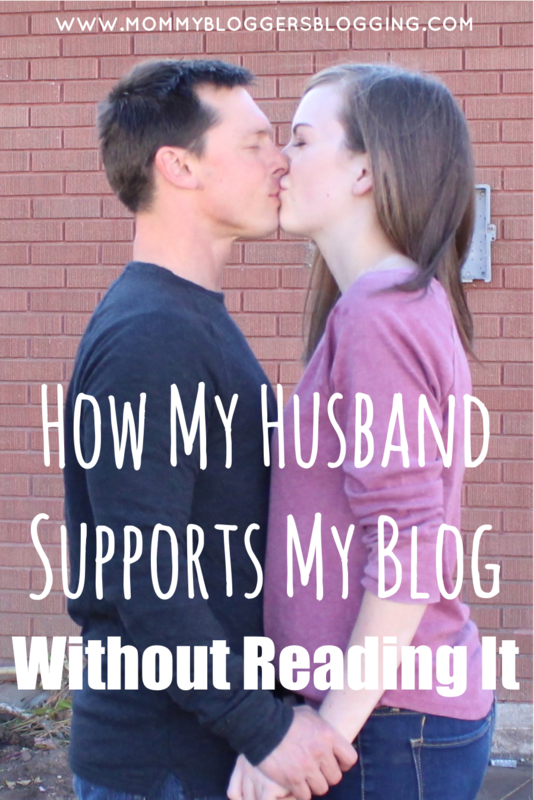 “Has my husband ever read my blog”? I can remember reading one post to him, Dear Husband of a Breastfeeding Wife. I read it to him, well, because I wrote it to him. This wasn’t just a blog post. But an actual letter I wrote to my husband. He hasn’t read any of my posts on his own. Honestly, if you asked him right now he might not know my blog name and url. *DISCLAIMER* This post may contain affiliate links. You can read more on my Disclosure Page. This seems crazy, right? If it’s such a high part of my life he should be involved. He IS involved though. On my blog I write about all areas of my life as mom and wife. So he’s mentioned here and there, and this life I have wouldn’t even be possible without him anyway. For the first few years of motherhood, I never requested much time away from our children and my duties as a mother. I decided suddenly last year that I do need time away. Now I take 2-3 mornings a week off from motherhood so I can work on my blog or sometimes run errands. My husband is completely supportive and always ready to jump into dad mode. He is forgiving when my mind is occupied with blogging thoughts instead of focusing on him. If we’re having family time and I grab my phone to write down some thoughts he never complains. I’ve even had my laptop out at dinner because I felt inspired to write something. Anytime I tell him about milestones I reach in my blogging career, he is always enthusiastic even if he doesn’t understand half of what it is that I do. 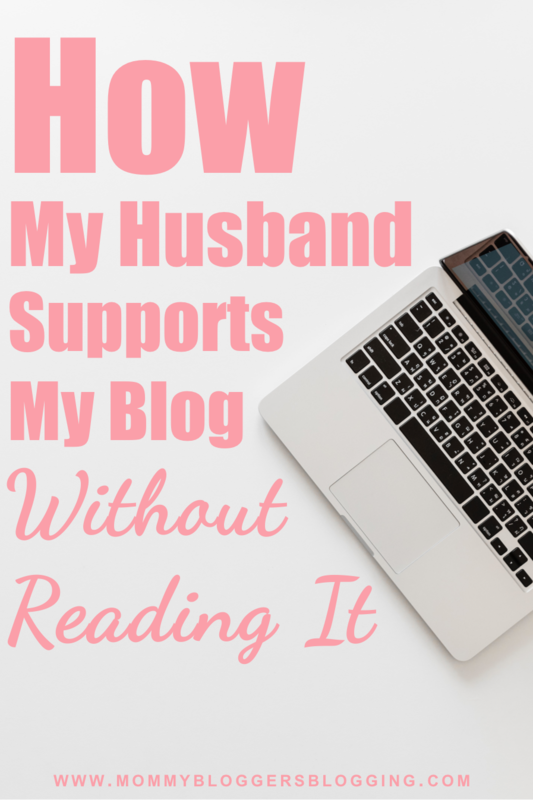 When it comes down to it, my husband just doesn’t need to read my blog. He doesn’t spend hours giving me every detail of his work life and that’s what it would be like if he read my blog. The bottom line is that he is really not my target audience. I don't mind that he doesn't read it because he lives with me! He participates in a lot of what I blog about so it's old news to him. I'm not writing it for him anyway. He's not my audience, you are. I'm writing it for YOU!